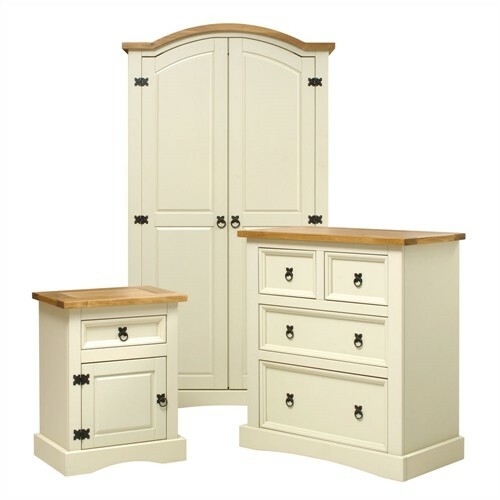 Corona Painted Bedroom Furniture range is a beautiful choice for any bedroom in your home. 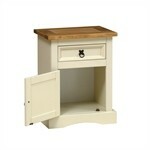 Crafted from pine and flat packed for home assembly. This elegant set has three perfectly coordinated pieces to make outfitting your bedroom easy. 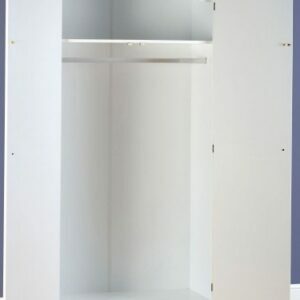 The four-drawer chest has plenty of room for your folded clothes and accessories, the full-length double wardrobe has lots of space for your hanging clothes, including long frocks and coats. 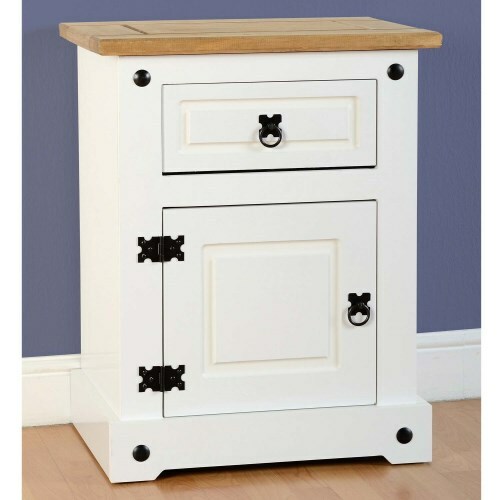 The matching bedside table has a handy drawer on top and a cabinet below for extra storage. 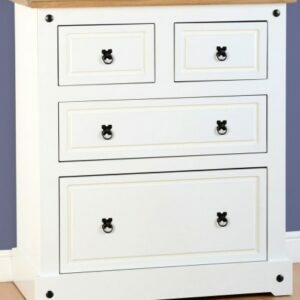 Each piece is painted in a smooth white and has a contrasting top. 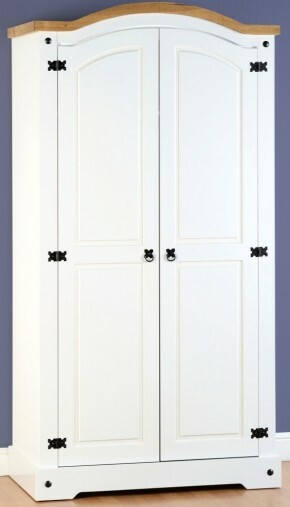 Black metal hinges and handles lend an old fashioned feel. Buy online for nationwide delivery.